Halloween is nearly here… and if you’re in the market for a chilling read to help set the mood for your Hallo-week, today’s post is for you! We’ve got two days to go until the 31st, so you’ll want something quick - and scary - to get you in the Halloween spirit fast. In this post, you’ll find a few of my personal favorite spine-tingling, binge-worthy scary stories that you can devour in a couple sittings. From straight-up horror fiction to psychological thrillers with an edge and more, there’s a little something for everyone in this post—and you can always find even more creepy books by perusing my Quick Reviews page. Happy reading, and happy (almost) Halloween! PS. The soundtrack to this post? The theme song from Halloween (2018) obviously. Listen if you dare. This post contains affiliate links. Crime by the Book is a participant in the Amazon Services LLC Associates Program, an affiliate advertising program designed to provide a means for sites to earn advertising fees by advertising and linking to Amazon.com. This in no way affects my opinions of the books included in this post. I don’t read much horror fiction, but whenever I want to venture out of my crime fiction comfort zone and into something really terrifying, Ahlborn is my go-to author. Known for terrifying reads like BROTHER and THE DEVIL CREPT IN (which would also make great Halloween reading choices… just saying! ), Ahlborn’s APART IN THE DARK is another fantastic (and seriously scary) read—but this book is even better for binge-reading, because it’s actually comprised of two novellas. APART IN THE DARK includes two addictive stories: The Pretty Ones and I Call Upon Thee. Naturally, this structure lends itself perfectly to a quick binge-read before Halloween; you can read each of these novellas in one or two sittings a piece, and both deliver all the inventive horror Ahlborn is known for. My personal favorite of the two stories is The Pretty Ones: this creepy story follows a young woman working in New York during the summer of 1977, aka the “Summer of Sam”. Ahlborn blends an already terrifying true-life story with her dark, dark imagination to fantastic effect. If you’ve been around CBTB for a while, you’ll already be very familiar with S.K. Tremayne’s THE ICE TWINS. This is one of my go-to book recommendations for readers looking for a blend of psychological suspense and just a touch of a ghost story. Even though this book is a few years older now, it’s still worth mentioning here once more! THE ICE TWINS is a perfect choice if you love psychological thrillers and don’t want anything too scary - but still want a few goosebumps from your Halloween read. In THE ICE TWINS, a couple moves their family to a remote Scottish island in hopes of recovering from a terrible tragedy… but what they discover on the island - both about their new home and about their family - is even worse than what they were trying to escape in the first place. THE ICE TWINS is a fantastic blend of “popcorn reading” and atmospheric, spine-tingling suspense. Do you tend to prefer fiction with a literary bent? If so, Jac Jemc’s mind-bending THE GRIP OF IT is the perfect Halloween read for you. Jemc takes a classic haunted house story and turns it into an immersive, almost hallucinogenic reading experience; THE GRIP OF IT is more about your experience reading Jemc’s words than the story itself—don’t go into this book expecting a straight-up horror novel. Go into this book expecting to feel genuinely unnerved and unsettled by the immersive, impossible-to-pin-down world Jemc crafts within its pages. In THE GRIP OF IT, a young couple moves out of the city and into a fixer-upper home… but of course, the house begins to show its true colors, and the couple realizes they’ve bit of just a bit more than they can chew. 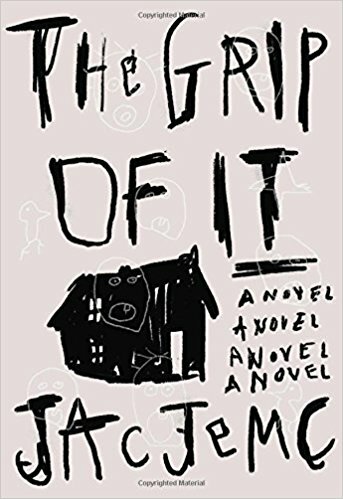 At its core, this book i really about the trials and challenges of marriage; Jemc uses a haunted house to push her characters to the breaking point, giving readers a glimpse of the fissures in their relationship’s foundation. A haunted estate takes center stage in SJI Holliday’s wildly entertaining suspense novel. When a married couple decides to leave behind city life and move to the English Fens to join a communal living retreat, their intention is good… but the results of their decision are disastrous. This estate has a dark history—it was once a psychiatric hospital, and the ghosts of its past might be all too literal. SJI Holliday has written a fantastic “popcorn read” perfect for the Halloween season. 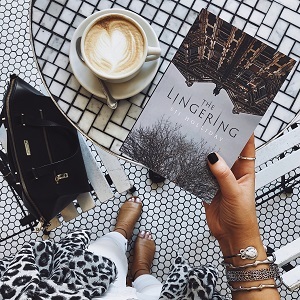 With a compelling cast of characters, plenty of things that go bump in the night, and pacing that lends itself to binge-reading, THE LINGERING will make a fantastic choice for readers who love suspense novels with healthy doses of the supernatural. As an added bonus, THE LINGERING has a heavy gothic undertone—Holliday weaves a richly atmospheric story where the story’s location - an old estate - becomes a character unto itself. 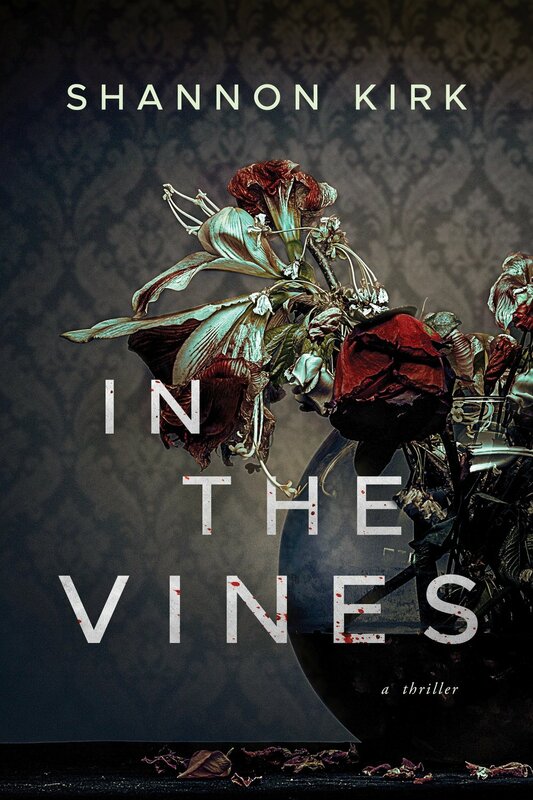 Speaking of Gothic suspense - if you love that concept but don’t love the supernatural, look no further than Shannon Kirk’s deranged and addictive psychological thriller IN THE VINES. This book is, to put it simply, all kinds of crazy—in the best possible way. In this twisted and twisty story of family secrets, a young woman returns to the New England seaside estate belonging to her estranged aunt… only to discover that the woman she remembers fondly has become deeply unhinged. Kirk writes with vivid, delicious prose; her language is rich and ornate, and readers will find themselves sinking into the spine-tingling story she weaves. There are so many moments in IN THE VINES that seem to leap off the page; Kirk contrasts the natural beauty of the estate with the disintegration of its caretaker to disturbing and shocking effect. There isn’t a single subtlety in Kirk’s delightfully dramatic and twisted story, and I wouldn’t want it any other way. A police procedural meets a modern-day story of witchcraft in Sharon Bolton’s superb new release. 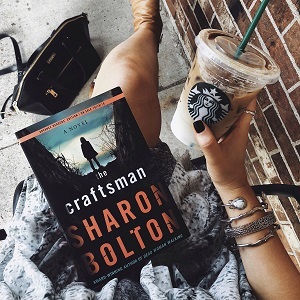 THE CRAFTSMAN is a tantalizing, up-all-night story that blends a disturbing series of crimes with a touch of the otherworldly—and the result is an immersive, richly atmospheric detective novel with an edge all its own. THE CRAFTSMAN follows a police officer who, years prior, was responsible for solving a dark series of crimes in a small town in England. The local coffin-maker, as it turned out, was burying children alive in his coffins. Now years later, our protagonist returns to that same town—and discovers that the events of years prior are repeating themselves, and that her son might be in the killer’s sights. 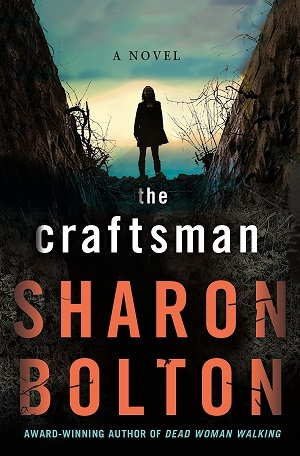 THE CRAFTSMAN is a perfect Halloween reading choice for fans of police procedurals; much of this story is first and foremost a detective novel… but Bolton injects this familiar storytelling structure with a touch of - wait for it - modern-day witchcraft, and the result is completely addictive. In master of suspense Sharon Bolton's latest thriller, readers will find a page-turner to confirm their deepest fears and the only protagonist who can face them. What better way to conclude this reading list than with my personal current ghost story obsession? 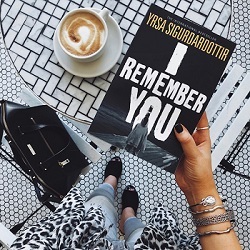 I REMEMBER YOU is a stellar (and terrifying) ghost story-meets-mystery from Iceland’s Queen of Crime, Yrsa Sigurdardottir. This brooding story is one you’ll want to read with all the lights on. Sigurdardottir plays with two storylines in her superb thriller. First: a group of friends head to a remote Icelandic village to renovate an old home they have purchased… but an encroaching storm and unexplained occurrences soon have the group wishing they had stayed home instead. 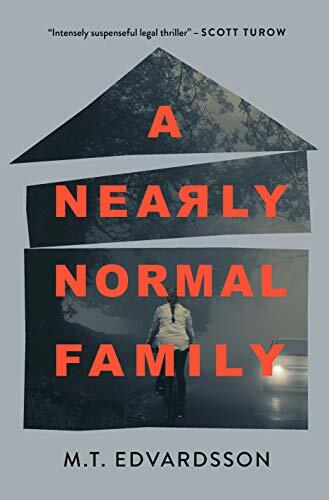 Second: a psychiatrist seeks closure for the disappearance of his young son years prior—and, in the process, uncovers a disturbing connection to a series of mysterious deaths in a nearby town. Yrsa Sigurdardottir is an honest to goodness genius when it comes to writing immersive, inventive slices of crime fiction—and I REMEMBER YOU might be my favorite book of hers ever. This is a gripping blend of ghost story and mystery guaranteed to give you goosebumps. Bonus: once you’ve read the book, watch the movie.